Matt Davies and Thomas Suleski published a paper, ‘Design and characterization of an infrared Alvarez lens,’ in Optical Engineering. Abstract: While Alvarez lens prototypes have recently been manufactured and tested for visible wavelengths, there is little discussion of these types of components for infrared applications in the published literature. We present and characterize a germanium Alvarez lens for infrared imaging. Mathematical analysis for determining the required cubic surfaces is presented, and ray-based and wave-based optical simulations are performed to confirm and refine the expected variable-focus behavior. 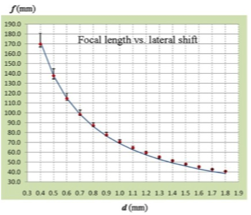 As part of the design study, we examine the effects of effective f-number of the Alvarez lens and gap between the freeform surfaces on image quality, modulation transfer function, and Strehl ratio. 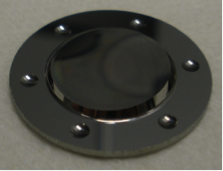 The germanium Alvarez lens pair is fabricated through freeform diamond micro-milling, and characterized using a custom-built imaging test station in the mid-infrared. The variable-focus and imaging capabilities of this lens are demonstrated experimentally and compared to predicted results with good agreement.